North Point Town Center Phase 1 was built seven years ago. A new city law puts money toward incentivizing grocery stores to open in Northwest Jacksonville, an area seen as a food desert. 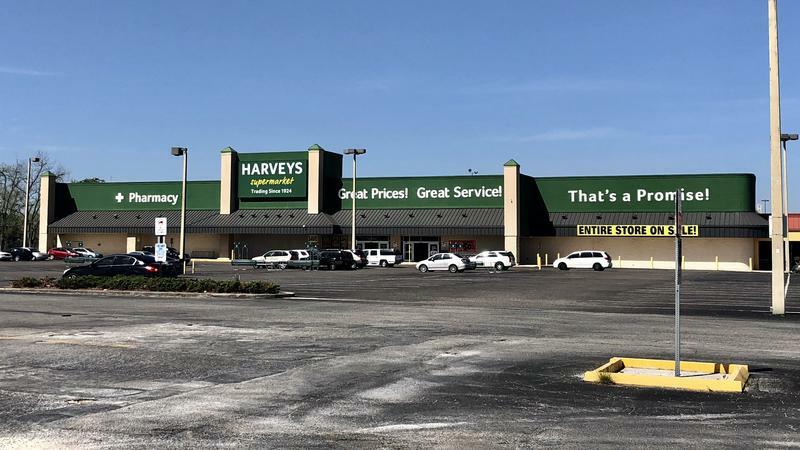 As Bill Delaney with The Jaxson tells WJCT News Director Jessica Palombo, one store is already in the works at the southeast corner of Moncrief Road and Myrtle Avenue. It’s being developed by the Northwest Jacksonville Community Development Corporation. Founded in 2001, the CDC’s mission is to revitalize Northwest Jacksonville through education, housing rehabilitation, and economic development. With this in mind, the CDC appears to be making progress with the development of North Point Town Center Phase II. 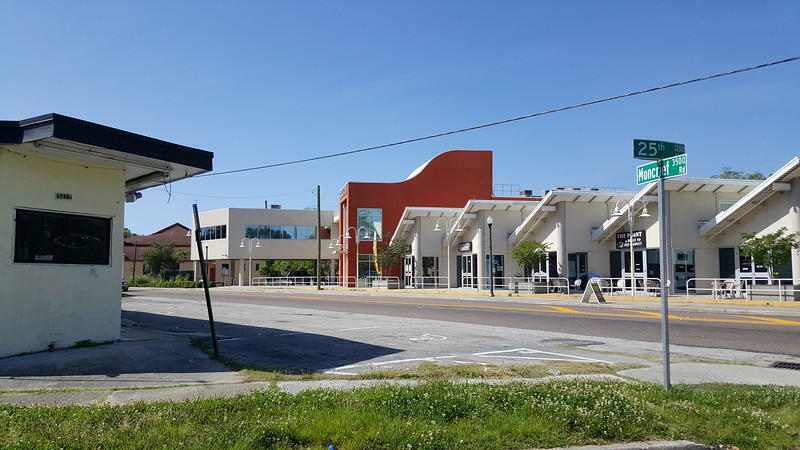 Intended to economically anchor the District of Soul, a commercial corridor centered around Myrtle Avenue and Moncrief Road, the project could provide a major boost in the area's efforts to promote its heritage as a clustered location for restaurants and entertainment in Moncrief. Northwest Jacksonville CDC COO Dara Davis holds up a rendering of plans for Phase 2 of the commercial development project at Moncrief and Myrtle in 2016. The Moncrief neighborhood itself dates back to 1914, when the Moncrief Park and Speedway Park subdivisions were developed to accommodate Jacksonville's rapidly growing black population north of Durkeeville, Sugar Hill and LaVilla. Prior to their development, the area was the site of Moncrief Park, a major tourist destination on the outskirts of town that was linked to the city by a streetcar line. At its height, Moncrief Park included a baseball field, bathhouses, a restaurant, bowling alley, dancing pavilion and mile-long racetrack. For a brief period of time, it was the site of a horse racing track with events just as popular as the races at Saratoga. However, Florida prohibited professional horse racing in 1911, leading to the track’s closure and the development of the community and commercial district that North Point Town Center Phase II intends to anchor. Unfortunately, plans for Phase II also illustrate a problem in Jacksonville's effort to promote and preserve black history. While Phase I was incorporated seamlessly within the pedestrian context of Moncrief Road, Phase II eliminates a block of West 24th Street and includes surface parking between the proposed retail storefronts and Moncrief Road. So while there's a major economic positive with new shops, the value of design that’s appropriate for a pedestrian-heavy area has been overlooked, and it’s a lost opportunity to promote the neighborhood's historical scale, culture and sense of place. This situation tends not to be a problem in Riverside and Springfield, where influence in City Hall has led to the establishment of zoning overlays that guide context-sensitive development. Yet, it continues to be a major challenge facing Jacksonville’s underrepresented communities that are subject to out-of-date, auto-centric, sprawl-based land use and zoning policies that largely ignore the uniqueness of Jacksonville’s older unprotected neighborhoods. 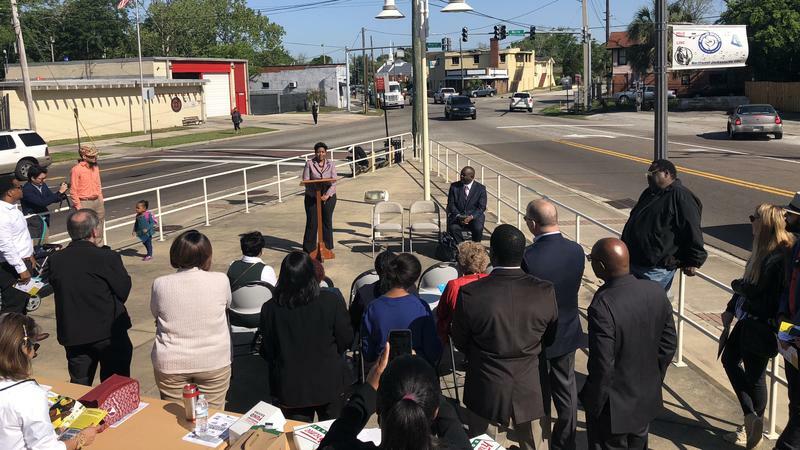 In spite of the site design challenges, the 23,800-square-foot project will include a 16,783-square-foot grocery store, eliminating the area's status as a food desert. Folio Weekly reported late last year that the Fernandina Beach-based BuyGo store has intentions to bring its up-and-coming concept to Moncrief. The retailer opened its first store in 2015 as a part of a quest to address insufficient access to healthy foods and everyday essentials in areas where long-standing barriers exist that make it difficult for residents to live healthier, more stable lives. In addition, Phase II will include 7,017 square feet of retail spaces with outdoor patio areas. Phase II comes seven years after the completion of Phase I. Phase I, a LEED-certified structure with 14,639 square feet of retail, was completed in November 2011 and developed on a former brownfield site. The CDC headquarters occupies 3,000 square feet of the building, which was its first commercial development project. Ennis Davis is co-founder of Modern Cities. With two grocery stores set to close about 10 miles apart on Jacksonville’s Northwest side, some city officials are concerned residents won’t have enough access to healthy, fresh food.